At Glengowla two stately oak trees shelter the graves from the elements. Who planted them? 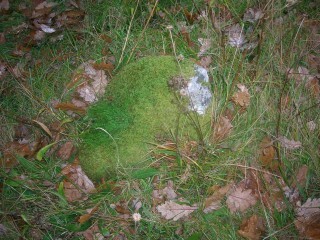 Outline of a grave marked with a series of moss-covered stones. 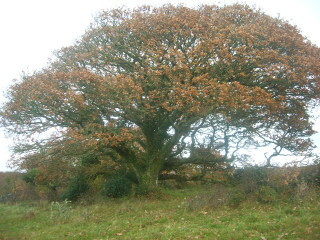 Sheltered from wind and rain. The graveyard in Glengowla is believed to have been in use from about 1720 until 1898. The graveyard was called ‘Doirín’. 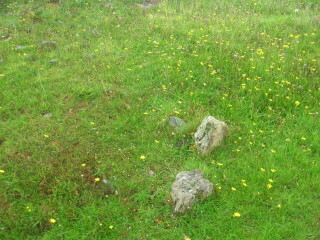 It was a graveyard for the village of Doireíochtar, Doirefhada, Leitircraff and Glengowla. 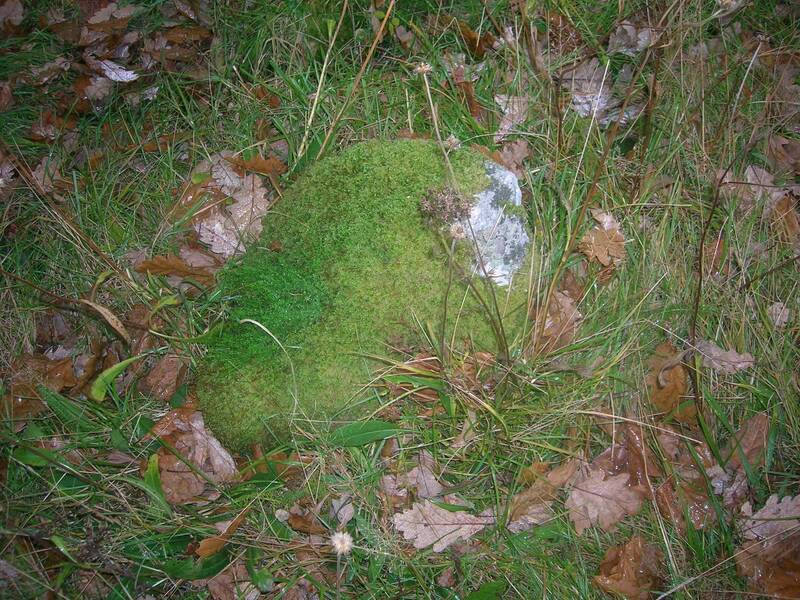 The last corpse to be buried there was a man that died at the side of the road. He was not from the locality and nobody knew his name. There were no timber coffins at the time so the man was buried in a straw coffin. 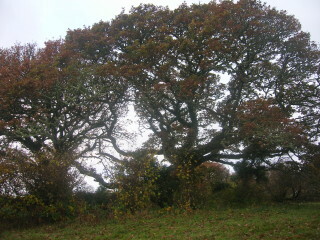 There are two large oak trees in the graveyard. It is said, that during the blessings of the graves that two candles were lighting on two rocks. The candles burnt out completely, it was so calm. The same night a big storm blew and knocked many houses in the village. 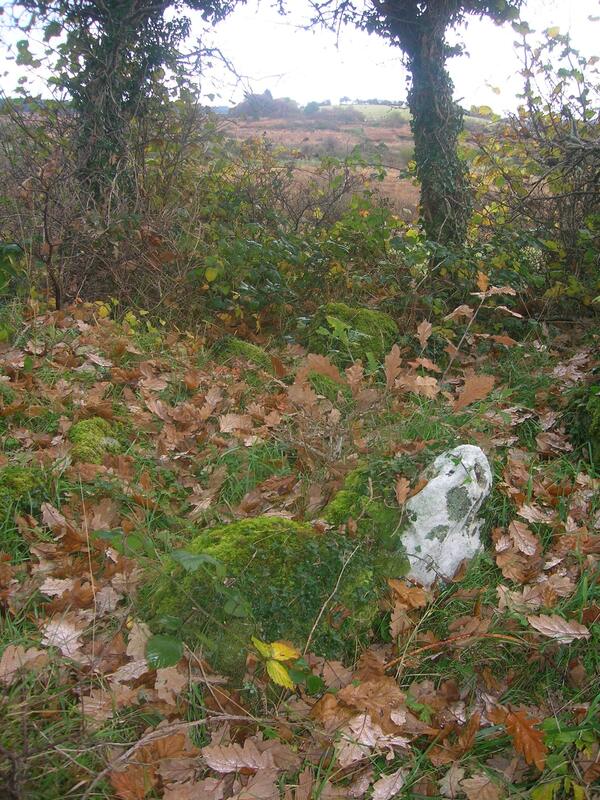 A man by the name of Hugh Mc Donagh looked after Doirín graveyard. There are three large rocks in the river Bunowen. 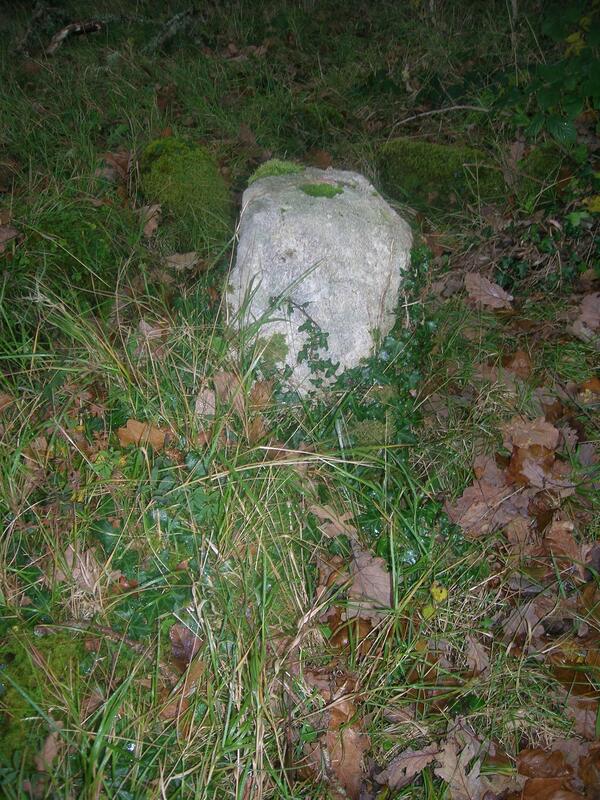 It is said that the centre rock was used for leaving the coffins on when crossing over to Doirín graveyard from Lettercraff. 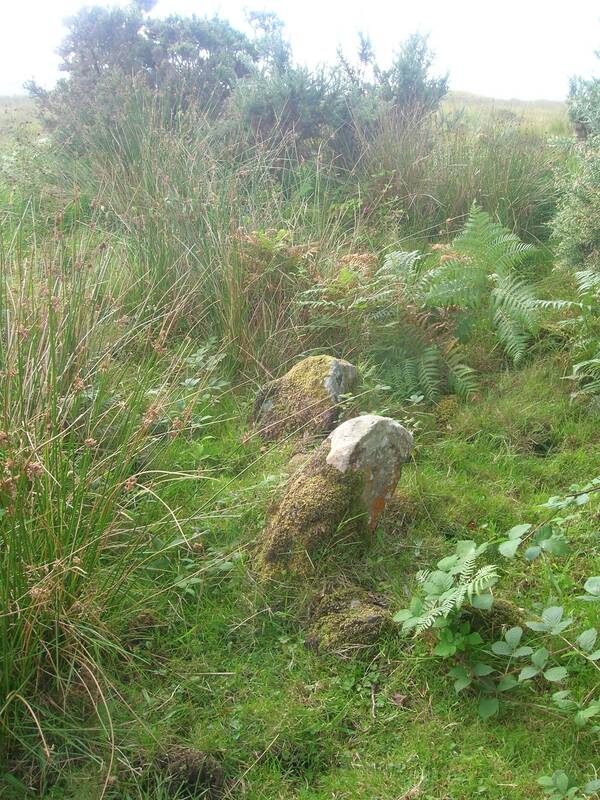 When the Corrib Drainage were cleaning the river, the late Pat Gibbons and his late brother Tom noticed that they were going to remove the three stones. They went to see Canon Mc Cullagh P.P. and asked him to stop the Corrib Drainage from removing the stones because of their connection with Doirín graveyard. 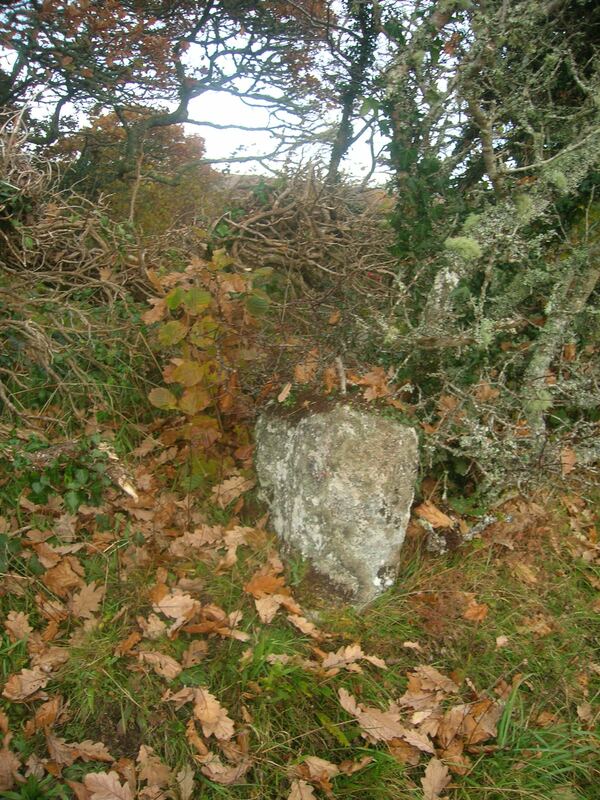 Canon Mc Cullagh asked the authorities not to remove the stones and they are still there today. There was an old house beside the graveyard called the ‘Still House’. This house had nothing to do with the making of ‘Póitín’ but it was believed that the corpses were left in it. Doirín is also believed to be a graveyard for still born babies and children who were not baptized. There were several reasons they were not baptized according to local folklore. Some believed that the babies died at birth before a priest arrived or some were still born. Mrs. John O Toole , Derryglen told me that two of her siblings – Coynes of Leam were buried there. She remembers that no one spoke about the children who were buried there – it was always hush hush! Others say they were not baptized during the famine because the priests were afraid of catching the famine fever. Later, it is believed that people were buried there because the priest had caught the fever and died and there was no priest available to baptize them. 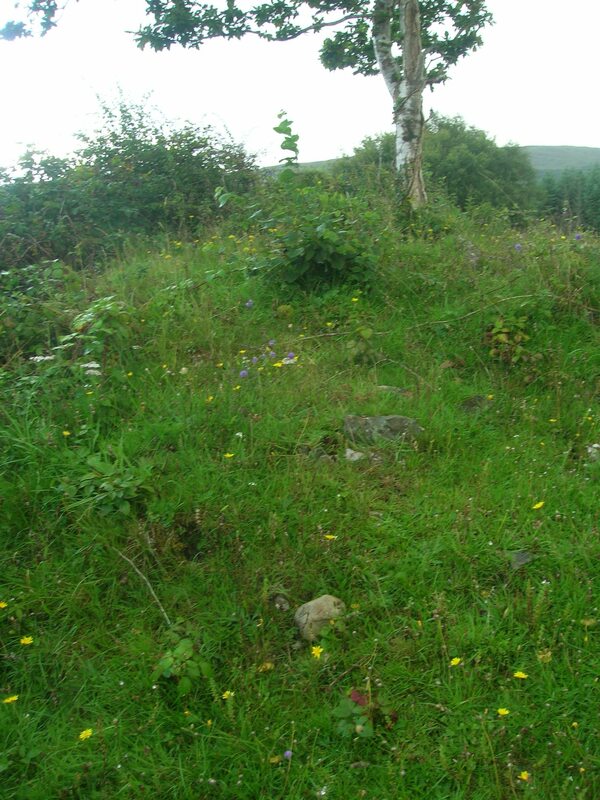 There is still evidence of many graves in Doirín to this day. 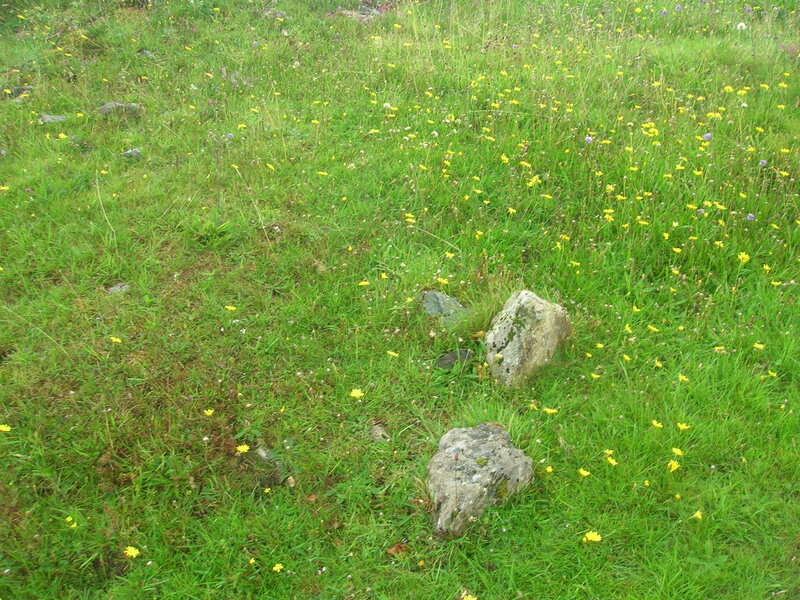 I was amazed at the large number of stones marking the graves which would indicate that this special place was used extensively. Guímid suaimhneas sioraí do na hanamacha go léir a adhlacadh anseo ar thaobh an chnoic. I found the Cillín in Keoghs bog near Doire na gCosa Fuara on the map. It is situated below the hut erected by the Gun Club on the left hand side on a hillock. Many years ago the late Frank Lyons pointed it out to me. 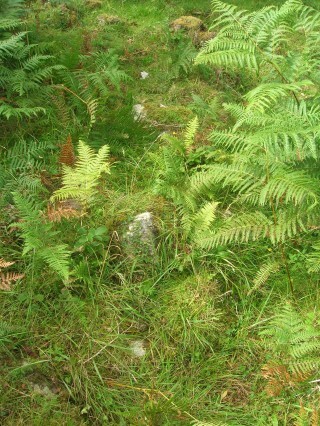 Don Friel, Peter Lyons and Bartley Mc Donagh cleared a path to the location and Rev. Fr. Paddy Heneghan P.P. offered Mass there for the dearly departed souls. 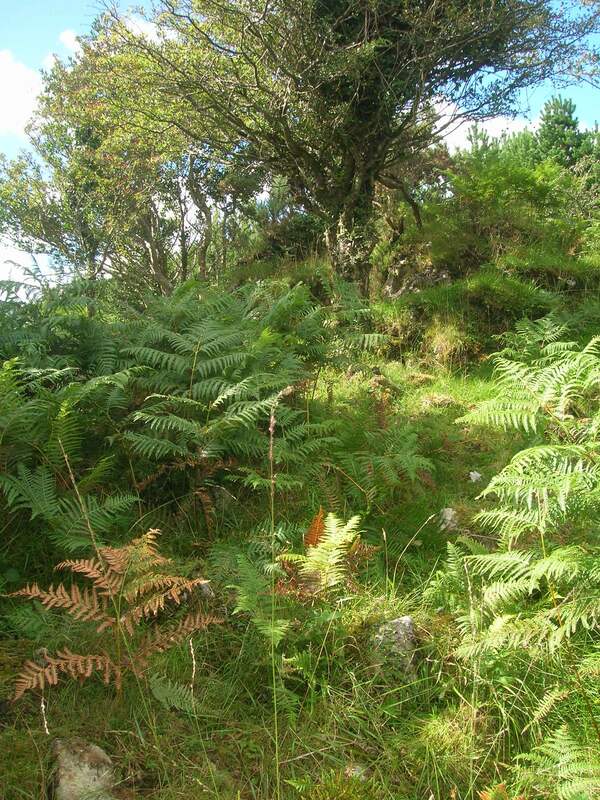 Standing on the hillock in September 2013 I couldn’t but think of the anguish of the fathers who came to this isolated area in years gone by to bury their dead children. How alone they must have felt in placing their dead child into the cold earth without the comfort of a Christian burial? Guímid suaimhneas sioraí dóibh go léir imeasc na nAingeal i bhFlaithis Dé. Collated by Mary Kyne (2013) & Jennifer Geoghegan Rang a Cúig, Scoil Muire, Doireglinne 1994. This page was added on 23/11/2013.